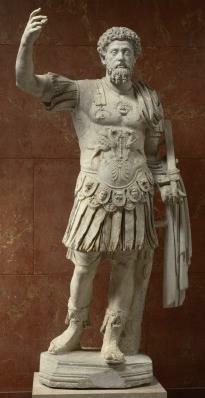 Marcus Aurelius is the fifth of the so-called “five good emperors” that preceded the decline of the Roman Empire. He was hand picked, carefully educated, and trained for his position. He studied at the right hand of his predecessor, Antoninus Pius, a follower of the Stoicists, a philosophical group that advocated moderation and self-control. So it is no surprise that Marcus Aurelius knew how to perform his job and carried out his duties with diligence, which he did from 161 to 180 A.D.
Marcus Aurelius was a man who was blessed, or cursed, depending on your point of view, with a self-reflective nature. And like self-reflective people, he strove to become a better person. He recorded his self-reflective journey on paper in his personal diary, his Meditations, which were published after his death with the title To Himself, an ironic title considering they were written for him alone and yet published for all the world to read. While sometimes called a treatise on the stoic life, the writings of Marcus Aurelius are more a diary of his reflections while on campaigns to defend fringes of the Roman Empire from invasion by enemy hordes. 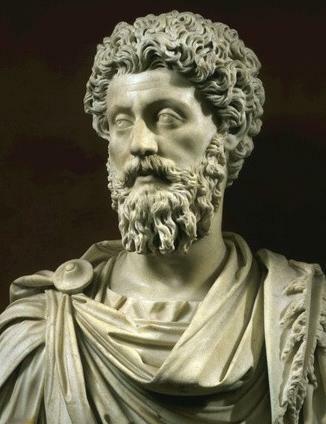 Marcus Aurelius was, unique for a reflective person, also a man of action when necessary, successfully defending the Empire during his years as Emperor from 161 to 180 A.D. from revolts in the East and enemy tribes in the North. While, to me, much of the Meditations reads as a drunken or drug induced rant by a tired and life-weary man, they have their moments of interest. An interesting note: they were written in Greek, the language of the educated at the time. Only much later did Latin take up that role, usurped eventually by English, as attested to by the scientific and academic journal preference for English. 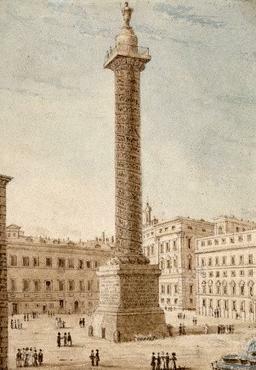 To read more about Marcus Aurelius as an Emperor of Rome, visit Italophiles.com (Candida Martinelli's Italophile Site), my website about Italian culture. 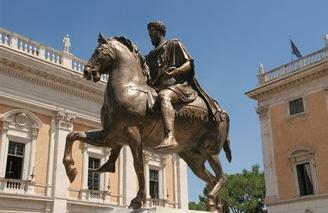 My Marcus Aurelius page has lots more information about Marcus's son, the Roman Christians, and excerpts from the book. 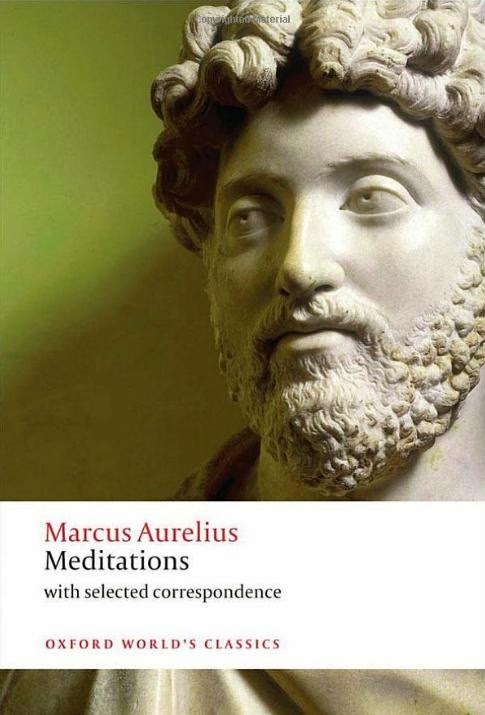 Other self-reflective people have found inspiration in Marcus Aurelius’s Meditations. They should, however, also look at the book for a better understanding of the limitations of self-reflection as a tool for self-improvement. If the person wishing to become a better person is closed off to external ideas and looks only within or to those within their trusted circle, the ideas they consider for self-criticism and self-improvement can be too limited to make them a truly good person. This was the case with Marcus Aurelius. He accepted the ideas of the superstitious peoples of his time. He condoned, and at times more than condoned, the persecution of the minority Christians in the superstitious hope of bettering the lives of the majority pagan citizens. Marcus Aurelius’s complicity with this mass-murder shows that self-reflection without enlightened thought can get a person only so far. It would take the Enlightenment and it’s descendent, Liberal Humanism, to bring humanity to a higher moral level. Some points, key to the Stoic Philosophy, are repeated throughout the twelve Books that make up the Meditations. Reason must rule the body; logic must be used to determine the truth, by first collecting differing ideas and then testing them against the facts to see which hold firm, and re-evaluating them as new facts become available. Live according to nature, which means accepting that we are all a part of God’s universe with a bit of God in all of us, called our soul, and we must try to behave as God-like as possible to honor our soul and God, and the most God-like behavior is to work for the common good. It is in your own power to maintain the beauty of your soul, or to be a decent human being; the ethics of our lives, how we put to use the truths we determine, define who we are and we are in control of our choices and behavior; the highest good is a virtuous life and that can be achieved by living in moderation. Death can come at any moment so be prepared for it; this is a common sentiment in those faraway times (and sadly for many still today) with poor healthcare, irregular diets, poor storage and preservation of food, and frequent violence; Marcus Aurelius certainly thought of it more than others because he suffered poor health all his life, dying at the age of 59 from a long and painful illness. Use self-reflection to purify your soul and find truth and right; review each day your actions and reactions to others and ask yourself if you behaved as you should, then resolve to improve your behavior the next day; also keep good thoughts, as thoughts predetermine our actions. Fame is fleeting so one should not seek it, and if one has it, don’t court it or indulge in it, or place too high a value on it, because it has so little real value in the big scheme of things; as Emperor, one can imagine his position gained him many wannabe sycophants, and it seems clear that Marcus Aurelius shunned them; he is famous for appointing worthy advisers and military and civic leaders. Paperback editions are available from Amazon.com.